Happy Monday friends! It’s hard to believe, but Frugal Rules turned two a little over a week ago. Seeing as the second year of life usually involves things like potty training, I hope this is a much cleaner year for the site – ha! It’s sort of surreal to think about really. 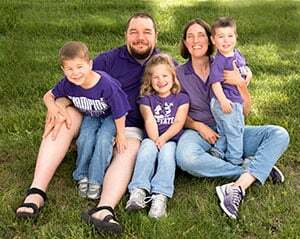 Looking back at when I started the site, I had recently quit my day job to help my wife run her budding advertising business. I had some free time and was missing talking with people about money and how they could manage it better. We have a close family friend who had had her own website for four or five years and not only did she love it, she was actually making income from it as well as from other opportunities it had created. I thought if she could manage a blog then I could. Boy, I had no idea what I was getting myself into! Seeing as I have absolutely no technical experience to speak of it’s amazing that I was able to get the site up. Honestly, it still surprises me that the site is up most days now. 🙂 But, as I said, I had no idea what I was getting myself into. What I thought would be a simple little hobby that I’d fill my time with quickly took on a life of its own. Not only did I find that I enjoyed blogging, but I also found that there were some great people out there doing the exact same thing I was. A good number of those people have turned into great friends that I would have never met if I hadn’t started a blog. As many know, the business my wife and I run is a marketing/advertising business. What we do essentially is copywriting and marketing strategy for our clients. While I had done some writing for the business, my lovely wife always had the pleasure (though I think it’s more of a displeasure actually) of editing my drivel. I never considered myself a writer and most certainly not someone who could be paid for his words. Fast forward two years and companies are actually paying me to write for them. It’s a bit nutty in my opinion, but I’m thankful for it. I know I don’t talk about income much here on the site, and there are various reasons for that, but I’ve been able to more than replace the income from my day job all thanks to this little ole’ blog and what has transpired because of it. Not only that, but we’re getting clients now for our business who want financial blogging done for their company thanks in large part to Frugal Rules. It’s surreal, really. The other thing I’ve been pleased to see is that you really can help people through a blog. I get funny looks when I tell friends or family members that, but you can! People out there in the real world read what we have to say and many, if not most, are going through the same struggles we are. They’re working to pay off debt, they’re starting to invest so they can build a better future for themselves, they’re considering whether they should start their own business and so much more. I know this because I’ve spoken with many out there who are using our experiences for encouragement and motivation. Those are all conversations and relationships I wouldn’t have if I didn’t start Frugal Rules. That is why I blog. As Frugal Rules marches towards hitting its first million page views next month, I’m excited for the future. I’m excited to see where this thing goes and who else I’ll get to meet. All of that wouldn’t be possible without you, my reader, or the community you’ve helped to build here. For that I thank you. Last, and most certainly not least, I’d like to thank my beautiful wife. When you work at home with your spouse, you get to see the best and worst of that individual. I can tell you one thing, she has seen more than her fair share of the latter from me. Despite that being the case, she continues to not only encourage and challenge me to keep moving, but also works alongside me to continue to grow this business that she created. Her love alone is much more than enough, so the rest is simply the icing on the cake! Anyhow, thanks again for joining me on this wild ride. I’m looking forward to seeing what year three brings. As an aside, if you’re considering starting a blog but are uncertain if you should, let me encourage you to look at it. Not only are there some great people on the interwebs, but if you work hard and see it through, it can even become a viable income opportunity, which is the best of both worlds in my book. Is there a certain area or topics you’d like to see covered here on Frugal Rules in the near future? If you’re a blogger, what is your favorite thing about blogging and why do you blog? Congratulations on two years of blogging! Thank you for all the great content. I’ve been a reader for awhile now. Happy blogiversary! Hope the a Terrible Twos aren’t too bad. Thanks Tre! I hope they’re not either, lol. Congratulations!! I’m a relatively new reader, but I really enjoy it. Congrats on the “Terrible Twos”! I wouldn’t have guessed that you’ve been at this for only 2 years. Appreciate all the work you’ve put into it, great job. 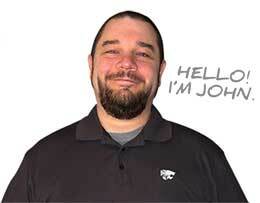 Happy blogiversary, John, and THANK YOU for all that you do here. As one of the very first PF blogs I found, you’ve always had a tremendous impact on our journey to debt free. Oooooh, 1 million page views! Congrats!!!! My favorite part about blogging is at the end of the day actually being able to help a few people. I was kind of selfish with my money knowledge growing up – I kept tips and tricks to myself. Having a blog is a much more fulfilling way to go about life. Plus, the money it brings in is nice. Thanks Will, it’s sort of surreal to see that number. I love that part as well. I love when I’ve been able to help a reader with something they’re dealing with. That makes blogging feel more real plus I often leave the situation learning a ton. It’s wonderful to see a couple support each other’s professional growth as you and your wife obviously do. Congratulations John on the success of Frugal Rules and all your other ventures! Happy blogiversary John!!! For some reason I thought you had been around MUCH longer. Maybe because you run an awesome site and it’s one of my go-to’s every day. As far as what I would like to see, more of what you guys do everyday, personal, thoughtful and practical advice for our financial journeys. PS: It was SO nice to meet you and Nicole at FinCon, I hope you had a blast and enjoyed your couple time away from the kids. Thanks Shannon! Yea, I’ve been getting a lot of that these past few days. But, I’m still a youngin’. 🙂 Thanks for the suggestion, I appreciate it! I’ve actually got a planned series I’ve got coming up soon that should help a lot towards that. It was great meeting you as well! It was a great time, though glad to be back home with the kiddos. Thanks much Kat! Yep, I’m still a youngin’. Happy Blogiversary to you! Meeting like-minded, frugal individuals is one of my favorite things about blogging. My husband and I recently moved away from all our friends and family for his work, so blogging has been an amazing outlet for me. Happy birthday! The changes you’ve been making in your life since starting the blog are pretty astounding! Congratulations and here’s to two more! Thanks Gretchen! Yea, it’s pretty crazy to look back and see how my life has changed over the past 2 years thanks to starting a blog. It’s amazing what can happen in two years. Congrats and I hope the next few years are even better. Congratulations John, you have achieved a lot! Here is to many more years. Congratulations, John! I’m so glad you took the leap and created Frugal Rules. You’ve done great things here and I love how it has always helped propel your business growth too. Synergy! Yes, I spent too many years in Corporate. All joking aside, I’m grateful we connected and I can’t wait to see what’s next for Frugal Rules and you! Congratulations on two years! Here’s hoping the next two are even more exciting. Happy Blogoversary! Time flies. One of my favorite things about blogging is the great community and support. I would love to attend FinCon one day and meet you and the rest of the bloggers. Thanks Andrew! I love that about blogging as well, I’ve not seen this kind of community anywhere else. You should definitely make it to FinCon next year! Congratulations on two great years. Wishing you many, many more! Congratulations on the 2-Year Bloggiversary! I wish you continued success and keep the awesome articles and advice coming. I’ve learned a lot from this site. Thanks for the kind words Aldo, they’re much appreciated! Thanks! Yep, time has definitely flown by and crazy to think it just seems like a few days ago since I first started the site. I really like the community aspect as well. yay congratulations!!! I love the articles on this blog. Keep them coming! Congrats on your 2nd blogiversary! Keep up the excellent work. 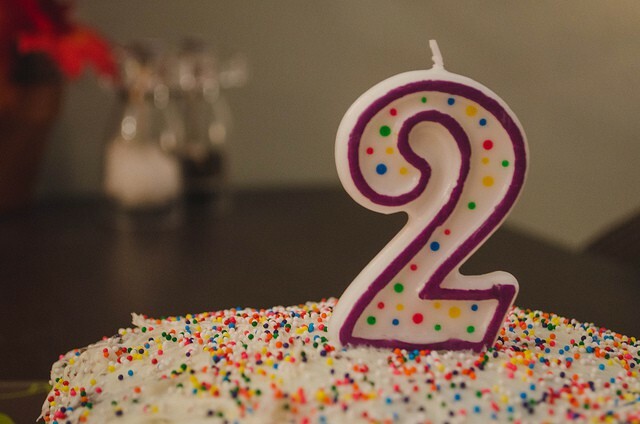 Happy 2nd Blogiversary! I can’t believe the site is only two years old. I’m glad it’s brought you so many opportunities, both for your business and to inspire others. That’s a large part of why I blog! I hope I am helping someone make better financial decisions. Happy 2nd Blogiversary to you and Nicole, John! You’ve done a lot in that amount of time. I’m seriously impressed. Thanks for the support. 🙂 You were a friendly mentor to me when I first started! Thanks Deb! Glad to be of help! Congratulations John to you and your wife! It really feels like your blog has been around for forever. Keep on coming with those inspiration posts about making the leap from working man to self-made entrepreneur. They get me thinking about going to the dark side! Congrats on the 2 year anniversary! Hard to believe your blog is only 2 years old, feels like you have been blogging for much longer than that. My blog has provided a modest side income and allowed me to make all that money from home, on my laptop, in my spare time. So that’s pretty awesome. Thanks DC! It is pretty neat when you start to look at it’s all from your laptop from pretty much anywhere you want. Nicely done my friend! Thoroughly enjoyed hanging out with you and the Mrs. at FinCon and can’t wait to see what the future holds for you. Frugal on! Thanks Brian! We thoroughly enjoyed hanging out with you and Kim as well – it was one of the highlights of the conference for us. 🙂 Looking forward to seeing what’s in store for you as well my friend. Congrats on your blogoversary, John…..here’s to many more years of successful blogging! Thanks my friend! It definitely has been a journey and looking forward to seeing what else is in store on it. Congrats on the Frugal Rules birthday!